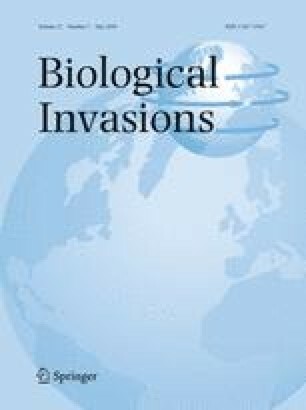 Many invasive ant species form mutualisms with honeydew-producing Hemiptera and their aggressive presence deters the natural enemies of the Hemiptera. Invasive ant species like the Argentine ant have often been associated with hemipteran outbreaks in urban, agricultural and natural ecosystems. We investigated the effects of a mutualism between the invasive Argentine ant and the endemic terrapin scale on coccid density and the fitness of the host of this mutualism, the endemic red maple, situated in a commercial park. The terrapin scale has numerous natural enemies and we predicted that the high terrapin scale numbers associated with tending Argentine ants would collapse once Argentine ants were excluded from the host tree canopy. We predicted that excluding the Argentine ant from the tree canopy would result in an indirect net fitness benefit to the host. Terrapin scale numbers collapsed when Argentine ants were excluded from the host tree canopy. Red maples with Argentine ants excluded from their canopy had higher seed mass and larger early leaves indicating that this invasive ant-endemic scale mutualism imposed a net fitness cost to the host tree. The Argentine ant has yet to invade closed-canopy forest within its introduced range. The red maple is common in adjacent closed-canopy forest fragments and recent work has shown that invasion of these forest fragments by the Argentine ant is limited by a steady carbohydrate resource. We discuss the implications to forest invasion posed by a mutualism involving the Argentine ant and an endemic coccid. We thank R. Dunn, F. Gould, G. Kennedy, S. Menke and two anonymous reviewers for their critical reviews of the manuscript. We are grateful to G. Vásquez, A. Carper, P. Labadie and K. Brightwell for their technical assistance, and C Brownie and E. Demirhan for statistical advice. The Blanton J. Whitmire Endowment at North Carolina State University supported this study.